Houses & Homes VA: Richmond VA from an “insiders” point of view! Richmond VA from an “insiders” point of view! 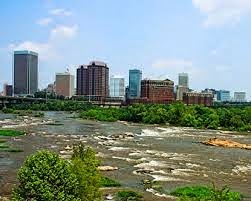 Have you ever considered living in Richmond, Virginia? Whether you enjoy city life or prefer the peace and solitude of country living Richmond should be on your list of places to consider. The first thing that you will need to understand is that in Virginia the cities are actually a completely separate entity from the counties and as a result the city of Richmond is physically located in both Henrico and Hanover counties. All 3 of these areas are considered to be the actual metro area. You won’t find a lot of housing choices within the business district of the city but if you insist on being close to the action there are some apartments located along the canal. If you’re looking for a great view and intend to rent this is one area that you might want to check out. Carytown is well known for its array of restaurants and shops and is a big hit with the “20 somethings” in the area. It’s great for a very pleasant night out or a great meal and the historic Byrd Theater is located there as well. This famous movie house was actually built in the 1920’s and today it is still popular for its second run movies and authentic Wurlitzer that is played on the weekends! History and culture are alive and well in the Carytown district. There are some very nice homes here for buyers but most have very small yards. If that suits your tastes than you need to plan a visit or give me a call for available listings in the area. The western side of Henrico County is a very busy place for those of us that enjoy the daily hustle and bustle. The eastern side of the county is a bit less hectic but it is growing steadily and might be the perfect choice if starting a new business is something that you are considering. Chesterfield is very similar to Henrico but it is actually more rural in nature and if you are retired or looking for a great vacation home I can say that this is one of the best locations in all of Virginia. And by rural I don’t mean that there is nothing to do! Chesterfield has its fair share of museums, historic areas, shopping areas and even amusement parks so excitement is there when you need it. You can tour numerous battlefields from the civil war as well, a great way to spend the day for history buffs like me! Hanover County is another great area that is mainly rural (except for the town of Mechanicsville). This is a definite must see if you are considering living in an upscale area. Here you can definitely find your share of million dollar mansions but there are also many very nice homes starting at around $300K. The entire Richmond area really is fantastic. Here you can see plenty of wildlife and on occasion a Bald Eagle! The school system is for the most part very, very good and access to other interesting places is a breeze. DC and North Carolina are only about a 2 hour drive and whether you plan a sightseeing tour in the nation’s capital or are looking to furnish your new home everything is within easy reach. In the same amount of time you can visit the mountains or enjoy a fine summer day at one of the many beaches. I know the area quite well as I was born and raised in Virginia so if you have any questions about what area is right for you I’m sure that I can help! Feel free to call me at any time or shoot me an email. Be sure to check out my website as well. I have some featured listings that you really need to see if you are looking to buy a home and there’s lots of other useful info. there too.